Popcorn is a comfort food and a yummy snack. A movie is just not the same without it! Whether it's a movie in while curled up on the couch or a movie at the theater, a big tub of popcorn makes it so much better. 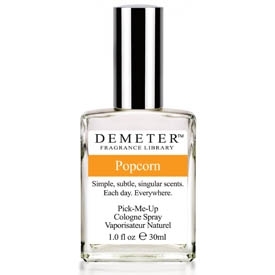 Now you can have that delicious popcorn scent with you where ever you go with our popcorn perfume spray. It's a perfect gift for the movie lover or the popcorn lovers that you know. When you smell popcorn, you can't help but smile and think of good times!